We were notified towards the middle of the month that the second cylinder was about to be cast so hopefully, after stress relieving, that should be on its way to Willition before too long. 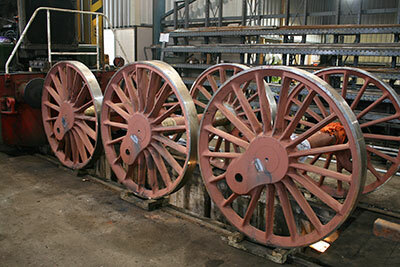 The tyres for the driving wheels have arrived from South Africa and at Buckfastleigh the wheels are being prepared for the tyres to be fitted. The keys are all fitted between wheel centres and axles. 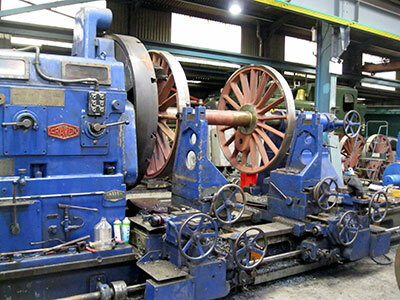 At Bridgnorth our own team are busy machining axleboxes. The outer faces have been machined on the horizontal borer and the slow job of machining the inside surfaces on the slotter is underway. The keeps are also being machined. The spring brackets have all been drilled, reamed and prepared for riveting. We have asked the SVR to produce the cold turned rivets in the CNC machine. This should be a quicker process than making them individually in the centre lathe. 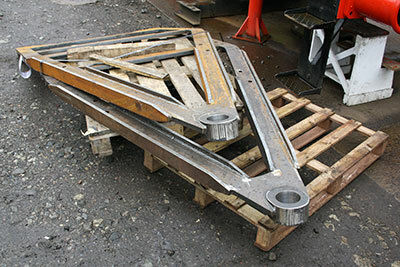 The radial arms for the pony trucks have arrived from Sheffield. However more funding is required before serious progress can be made with construction of the pony trucks. The first phase of the Boiler Appeal is due to be launched imminently in the forthcoming issue of SVR News. Please keep your fingers crossed for the best possible response from the SVR membership. The appeal will be staged throughout this year as we spread the net wider to draw in new support (we hope) from outside our home Railway. The appeal has got off to a very good start, even in advance of its official launch. At the same time, we need to continue to raise funds for other major items, notably the pony assemblies and the motion, so there is no room for complacency even as success beckons more and more confidently! Just a reminder that this is on Saturday 5th April at 2.00 p.m. at Kidderminster Railway Museum. All are cordially welcome - you don't have to be a member to come along - and we will, as ever, be very pleased to consider all positive contributions. Wheelset in the lathe at South Devon Engineering with the rims being machined ready for tyre fitting. Photo: John Besley. Pony truck radial arms. Photo: Tony Massau. The wheelsets all together showing the fitted keys. Photo: John Besley. This clip by John Clark shows in the foreground the inside crown of the axlebox being machined on the slotter. 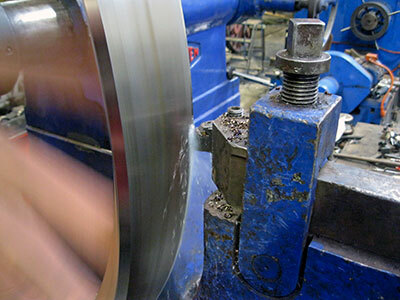 In the background - the outer surface on the top of an axlebox being machined on the horizontal borer.